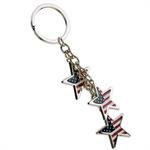 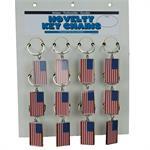 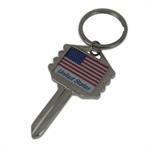 USA Flag on a heavy nickel plated key chain. 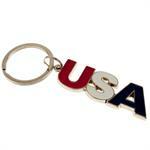 Flag logo is an epoxy domed label. 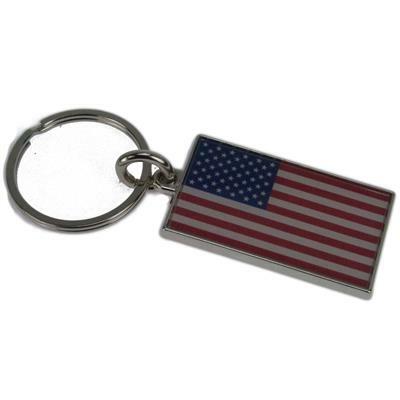 1 7/8'' Tall x 1 1/8'' Wide and is 1/8'' Thick. 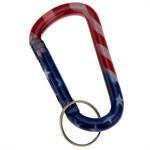 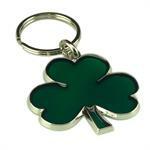 Includes a 1 1/4'' Split Key Ring. 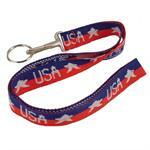 Overall Length is 3 1/2''.